Do you love pizza? Do you have totally tubular ‘80s-inspired catchphrases like “Cowabunga!”? Are you a martial arts master, especially when it comes to swords? Finally, were you raised by a mutant Japanese rat deep in the sewers of New York City? 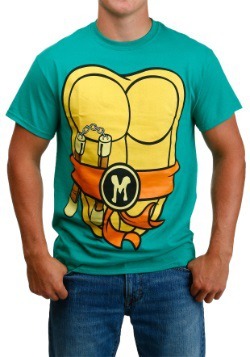 If you said yes to all of these… you may be Leonardo, one of the Teenage Mutant Ninja Turtles! (If not, the coincidences are nearly uncanny!) 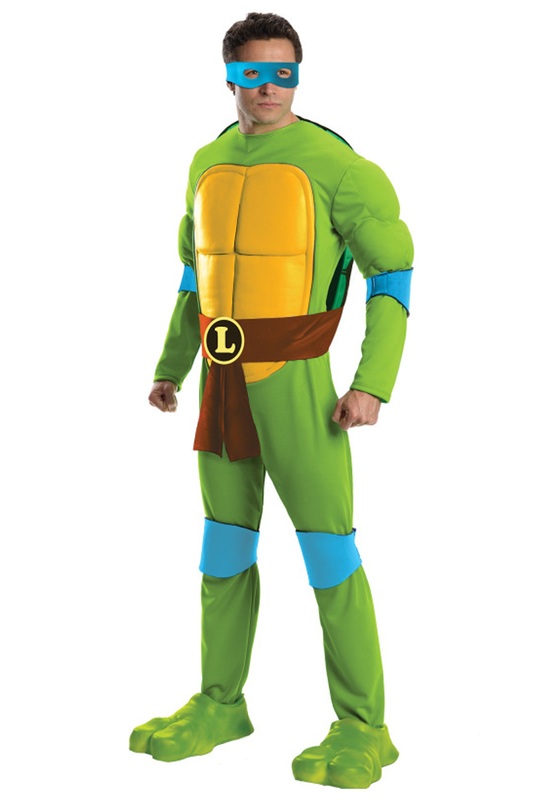 Leonardo is the leader of the group and usually the most level-headed. He can struggle with the pressure of leading his three brothers in their fight against the Foot Clan, especially when it comes to dealing with Raphael, but he’s a good turtle with a good head on his… er… shell and a good heart besides. People may say he’s not as fun as Michelangelo, but that’s just because he has all the responsibility of being a leader and answering to Master Splinter. He’s trained his whole life to defend the city of New York, and he takes his job seriously. You probably don’t have time to dedicate your entire life to an epic battle of good against evil, not to mention mastering every form of martial arts. But don’t worry—you can still look just like your favorite Teenage Mutant Ninja Turtle with this Deluxe Adult Leonardo Costume. The one-piece green jumpsuit includes pre-stuffed muscles built into the sleeves and a Velcro shell that can be stuffed and attached to the back. 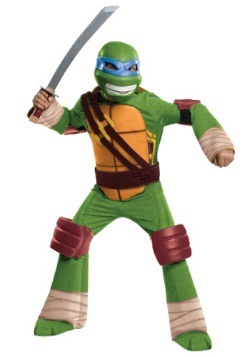 There are also turtle foot shoe covers, blue knee and elbow pads, and Leo’s trademark blue eye mask to wrap up this totally radical costume. We promise, you’re going to look tubular! Turtle power! Standard - $106.99 Only 7 left! X-Large - $106.99 Only 5 left!